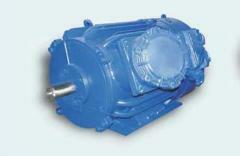 Unbelievable price on The explosion-proof motor for the coal industry of AIU 250 M4 (90 kW. 1500 RPM.) in Novaja kakhovka (Ukraine) company Novokahovskij Elektromehanicheskij Zavod, TPO.